When we talk with parents about the recruiting process, we often get told that the entire process feels like the blind leading the blind. Parents also confess that they are caught off guard by how quickly the recruiting process can sneak up. Nothing is really happening from a recruiting standpoint then all of a sudden things move quickly and it’s time to make a life-changing college decision. 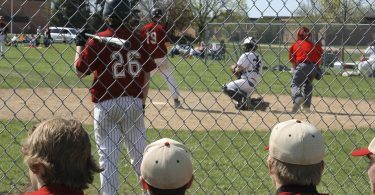 When you wait for college coaches to express interest in your son before you start learning about the way college baseball recruiting works, things will undoubtedly feel like they are going at a break-neck pace. Luckily for parents of middle school and freshman baseball players, this doesn’t have to be the case. The best way to slow the recruiting process down is to start it earlier— way earlier. 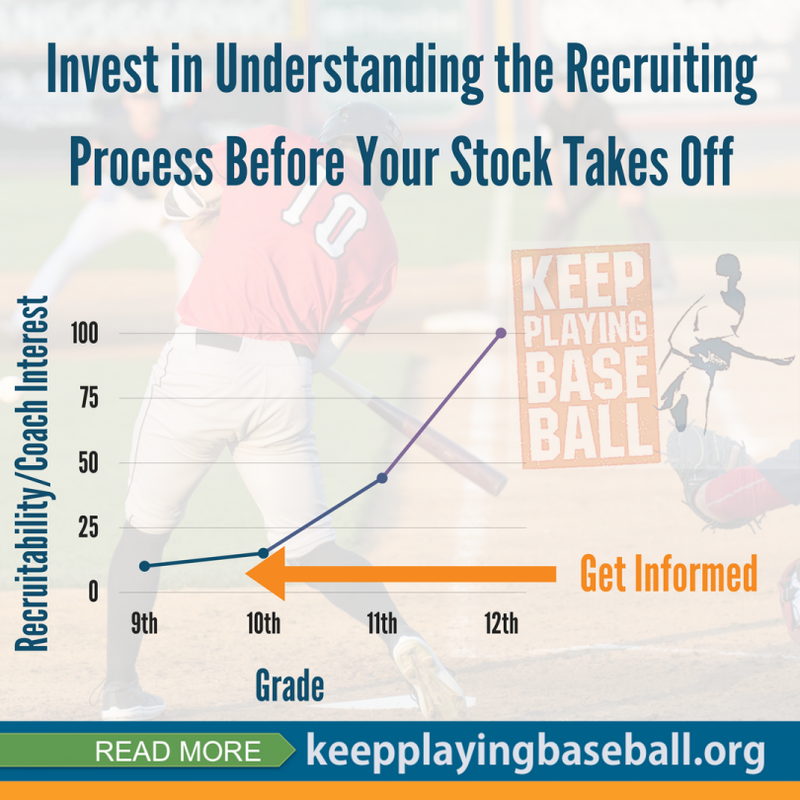 This likely means that you will have to start actively learning about college baseball and the recruiting process even before your son knows for sure that he wants to play at the college level. 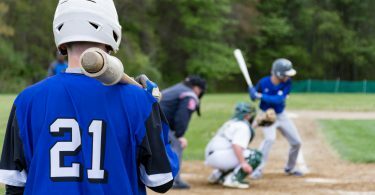 The first and most important reason to start the recruiting process early has nothing to do with your son’s baseball playing ability and everything to do with schoolwork. 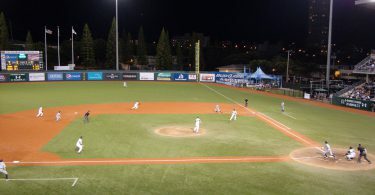 In order to keep all of college baseball’s doors open, you and your son need to understand eligibility, ensure he takes the right classes, and make sure he gets off to a good academic start beginning in 9th grade. This means that you and your son should be learning about what is expected of him before he signs up for his 9th grade classes. Many recruits make the mistake of getting off to a slow academic start in 9th grade, not realizing that those grades are just as important as the grades they receive as a junior or senior. Others fail to take the appropriate core courses. Since many 8th graders don’t have the interest or discipline to learn about and make sure they are following the NCAA eligibility requirements, this is an important responsibility for parents during the recruiting process. The last thing you want to have happen is realize that your son has fallen behind in one of these areas when it’s too late for him to do anything about it. Start educating yourself on the recruiting process when your son is in 8th grade so that if and when he decides he wants to play, his options will not be limited. Get started by learning about academic and eligibility requirements HERE. 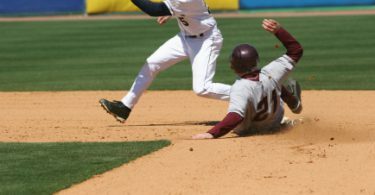 If your son wants to play college baseball, he will have to go through several important steps of the recruiting process at onetime or another. It’s much easier to go through these steps when you know what’s coming and what to do. We have free resources that will allow you to do that. This is just like the need for your son to study for the SAT/ACT. Your son knows he will have to take the test if he wants to go to college, so the best way to prepare is to study a little bit at a time for a longer period rather than try to cram all at once. The same is true of the recruiting process, but parents and players often try to learn about each step as they go through it in real time, which is why so many parents feel that things sneak up on them. It pays to prepare ahead of time. Since you know your son will have to talk with coaches, visit schools, share video and transcripts, etc., it’s better for you and your son to start learning what you will need to do and what you can expect early, so you are prepared and able to make informed decisions when these things are happening in real time. This will save you from feeling like you are frantically trying to keep up with the fast pace of recruitment. 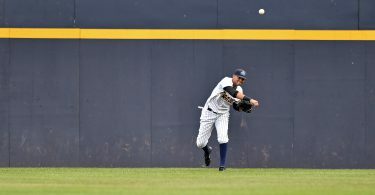 It may seem ridiculous to start thinking about what it takes to play college baseball before your son has even had the opportunity to seriously consider whether he wants to play after high school, but doing a little bit of reading and preparing ahead of time will pay off big time when your son decides he wants to play in college. 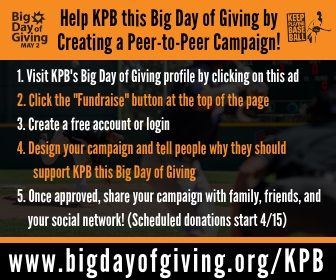 This may sound overwhelming, but KPB is here to make it easy for you. Spend a little bit of time each week reading the KPB blog, listening to the KPB podcast, following along with our yearly pages and checklists, or reading our parent resources. Encourage your son to do the same. With a little foresight and preparation, you and your son can put yourselves in a great position to make a fully informed and educated decision about his future when it counts.